Come Fall in Love with this HUGE & private lot at the end of cul-de-sac street! You are surrounded by mature trees--great yard for kids & pets! 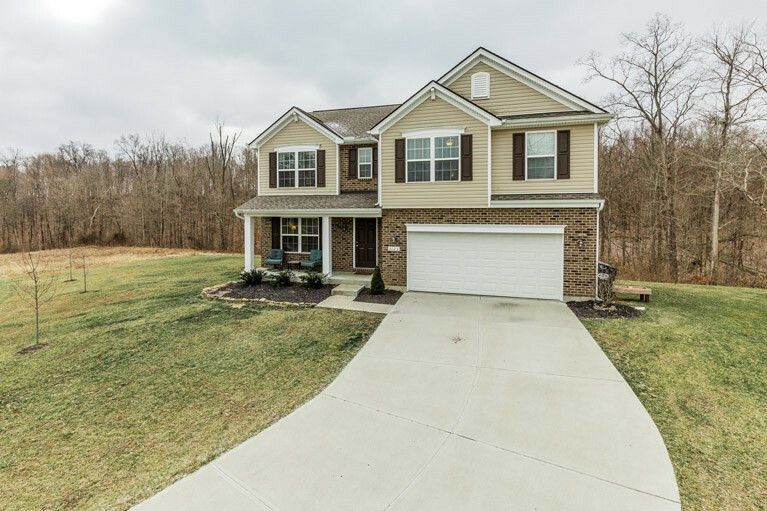 Enjoy the spaciousness of this Arlinghaus Lincoln floorplan that features: 4 large bdrms * super kitchen w/island * 2nd flr laundry room * loft area * 1st flr office * 2.5 baths * master suite w/adjoining bath w/ceramic tile, double vanity * large deck 10x25 * covered porch * electric fence * lower level w/bath rough-in, large window & walk-out to yard * great schools * no city taxes * enjoy the community park. USDA Eligible 100% financing.